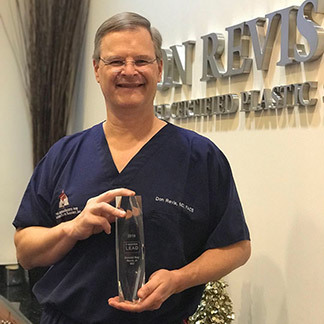 As a leading expert in the field of breast augmentation, Dr. Revis has been selected as a member of the Mentor Corporation LEAD Program Advisory Board. Out of thousands of board certified plastic surgeons in the country, approximately 35 surgeons have been selected for their extensive experience, leadership and reputation in the field of breast augmentation. These plastic surgeons meet yearly to discuss new products and innovations as well as to share their experiences and advancements in the field. 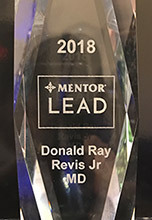 The LEAD program, which stands for Leadership, Experience and Development, was created by the Mentor Corporation, a worldwide leader in breast aesthetics. Mentor uses guidance from these expert breast surgeons in their design and development of new products and programs. The ultimate goal is to improve patient results and achieve greater levels of patient satisfaction with lower complication rates. By sharing their knowledge, the nation’s top plastic surgeons can help shape the future of plastic surgery and teach others how to improve their techniques and achieve better results.